Your move, Intel. Show us what else you've got with Kaby Lake. 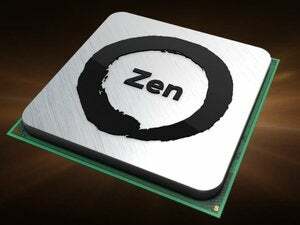 AMD's Zen is finally here. In August, AMD stunned the hardware industry by showing that its Zen architecture could compete with Intel’s best. 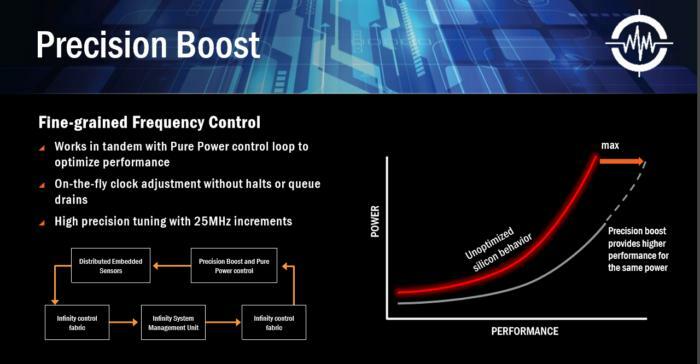 Now AMD has revealed more details about what executives call its most exciting processor in 20 years, including its brand name, its clock speed, and the five underlying “SenseMI” technologies that make the chip so efficient. What AMD has previously referred to as its Zen architecture now has a formal brand name: Ryzen, which unfortunately sounds like the title of a bargain-bin videogame. The first chip in the desktop family, code-named Summit Ridge, will be AMD’s focus for 2017. Using Handbrake and ZBrush benchmarks, AMD recently demonstrated that its 8-core Summit Ridge chip can keep up with, or even potentially exceed, Intel’s 8-core, 3.2GHz Core i7-6900K that launched this past May. That’s due in part to the Summit Ridge chip’s higher 3.4GHz clock speed, according to AMD. The story behind the story: AMD declined to disclose two key Summit Ridge details: the chip’s “boost” speed, or maximum potential, and its price. In doing so, AMD avoids revealing too much to Intel’s marketing team, said analysts. 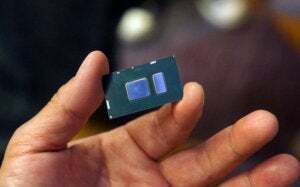 Keep in mind, although it didn’t attract much attention at the time, Intel executives said in August they hadn’t ruled out increasing the core count of its Core i7-6900K—just as it did with the 10-core Core i7-6950X. That could help Intel maintain its performance edge over any upcoming Zen chips. All these machinations are to the consumers’ benefit, of course—this is the essence of competition! Lisa Su oversees a Blender benchmark test; AMD’s new Ryzen chip is rendering on the left screen, while Intel’s Core i7-6900K is to the right. Both completed in about the same time. Here’s where we stand right now: Intel has begun shipping its first dual-core Kaby Lake chips—a third-generation 14nm chip, and for the time being, strictly for notebooks. In January, Intel is expected to release its quad-core H-series processors, kicking off the desktop PC race in earnest. 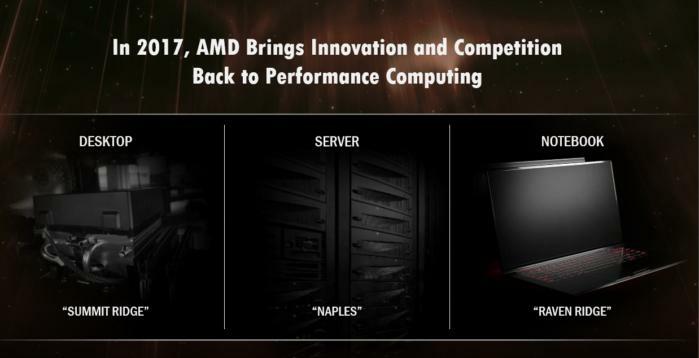 AMD, meanwhile, has slated its 14nm Summit Ridge chip for the first quarter, its 32-core Naples server processor for the second quarter, and what it now calls its Raven Ridge notebook chip for the second half of 2017. Remember, you’ll need Windows 10 to run all of them. Despite some analyst speculation that the PC market is slowing, AMD is aiming Ryzen at three markets that seem poised for growth: PC gaming, which some analysts say could see 35 percent growth from 2015 through 2020; virtual-reality PCs, with expected 10X growth by 2020; and e-sports, which is experiencing a strong uptick in audience. AMD’s three chips for 2017, based on the Zen architecture: Summit Ridge, Naples, and Raven Ridge. “If you look at 2017, I don’t think we’ve seen anything this exciting since, honestly, back towards the 90’s,” said Jim Anderson, senior vice president and general manager of AMD’s Computing and Graphics business, hearkening back to the AMD K6 series. 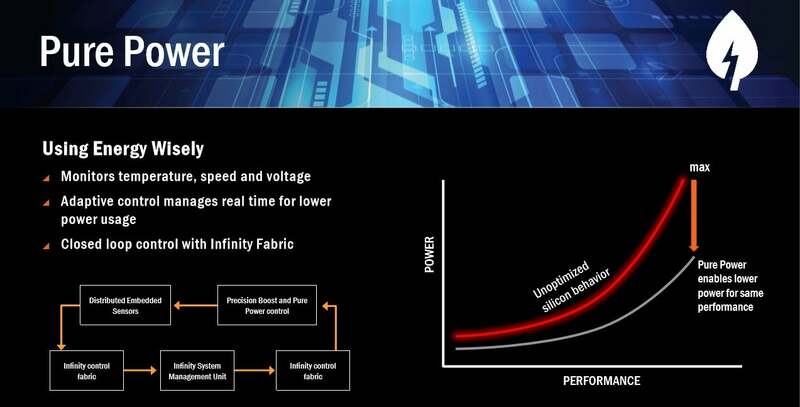 AMD set out four years ago to design a “clean sheet” processor architecture that could deliver 40 percent more instructions per clock than the previous generation. It seems that AMD has achieved that goal. Summit Ridge’s basics: Eight cores at 3.4GHz-plus, 20MB of combined L2+L3 cache, and SenseMI underneath it all. Yes, you’ll need a new motherboard to use Zen, but here’s what it gets you. In three demonstrations—using processor-intensive Handbrake, Blender, and ZBrush benchmarks—the 3.4GHz Summit Ridge (with boosting turned off) either met or exceeded Intel’s 3.2GHz 6900K, which can boost to 3.7GHz. In Blender, AMD’s chip consumed 187.6W under load, while the Core i7 consumed 191.8W. 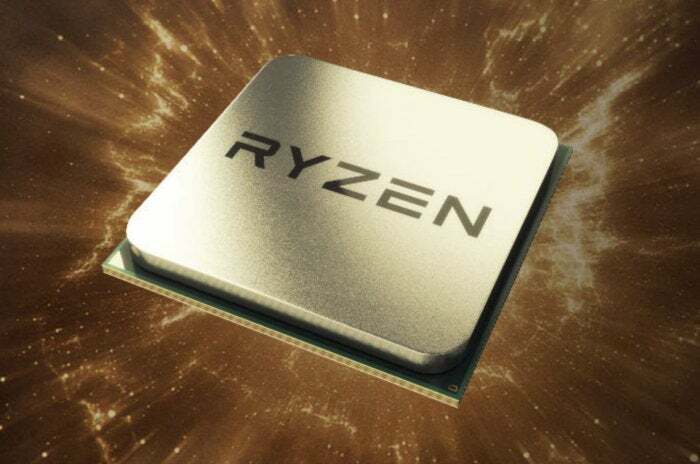 Update: The 8-core, 16 thread Ryzen chip will also pack a far lower TDP than Intel's 8-core, 16 thread chip, at 95 watts versus 140 watts, CEO Lisa Su said during AMD's New Horizon event on Tuesday. 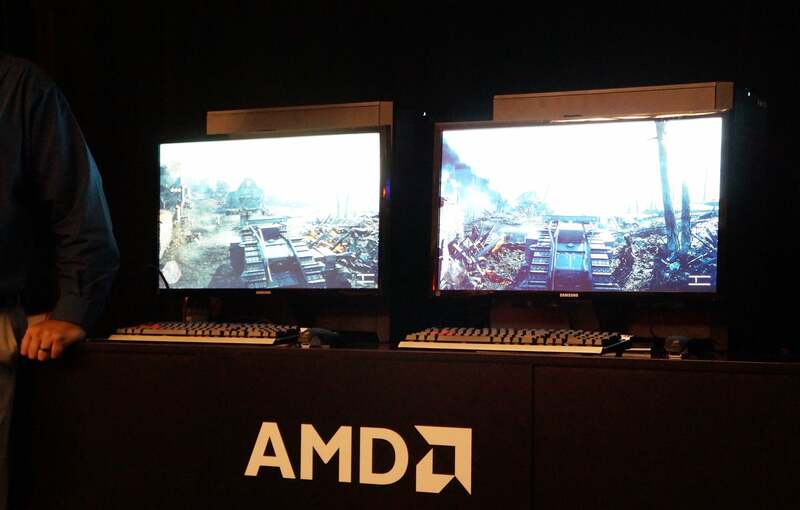 For further convincing, we were shown Ryzen’s performance running DICE’s shooter hit Battlefield 1—and Ryzen still held up, big time. The 3.4GHz Ryzen system we saw contained a custom AM4 motherboard that probably will never see the light of day, plus 16GB of RAM and a pair of Nvidia Titan X cards. Yes, Nvidia cards—AMD representatives explained that they wanted to show how AMD and Nvidia technology could be mixed and matched, and that Ryzen could handle any gaming configuration you threw at it. On the other side was the same Intel Core i7-6900K AMD used for the Blender demo, with an Asus ROG X99 board, and 32GB of quad-channel memory, just to avoid claims that it was running with a subpar memory configuration. AMD’s Ryzen went head-to-head with an Intel Core i7-6900K and came out unscathed. We were allowed to try a head-to-head playthrough of the first chapter of Battlefield 1, comparing the two machines. The catch: There was no on-screen overlay with frame rates. Instead, we had to go on what AMD product manager Jim Prior told us: Both systems were running at between 100 and 130 frames per second, at 4K resolution under DirectX 11, using ultra settings. AMD turned off the overlay because DICE has been frequently patching the game, and the hard performance numbers could change between our hands-on and AMD’s livestream of the Ryzen announcement, Prior said. Our conclusion? There were no functional or visible differences between the Ryzen and Intel systems. Both felt and looked exactly the same, whether actually playing on the PCs or peering over the shoulder of another player to watch the action side-by-side. In premium gaming, Ryzen hung like a boss. By contrast, AMD’s current FX-6xxx/8xxx chips are notably slower than comparable Intel budget parts in gaming, depending on the specifics. In a way, AMD’s Ryzen opens up another vector of consideration when buying a chip: efficiency. Most PC enthusiasts consider price, core count, the speed of the chip, and the power each chip consumes before buying. Chip manufacturers, meanwhile, talk about the instructions per clock (IPC) as a way to measure effectiveness. Ryzen, though, proposes a new approach. AMD’s latest processor generations have increasingly emphasized efficiency, the company says. SenseMI consists of five different technologies: Pure Power, Precision Boost, Extended Frequency Range (XFR), Neural Net Prediction, and Smart Prefetch. 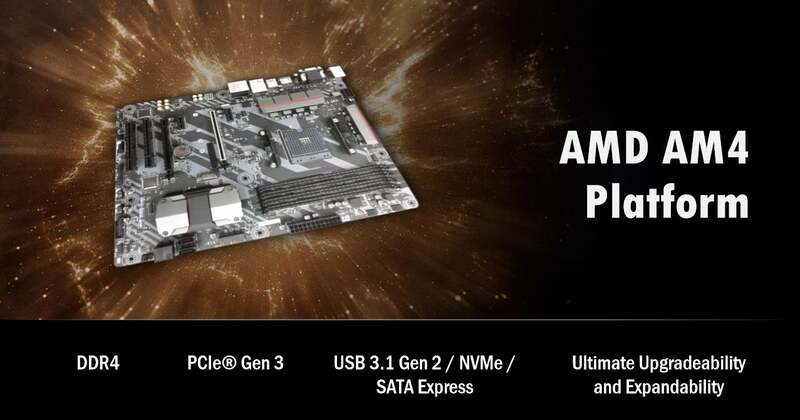 The technologies all work together, using what AMD calls its Infinity Fabric—an on-chip network of connections—to constantly loop back and reassess how they’re doing. Pure Power and Precision Boost, for example, are like two sides of the same coin. Pure Power monitors the chip’s temperature using hundreds of temperature sensors embedded in the chip and fabric, constantly seeking to bump down the power by milliwatts at a time while maintaining the same level of performance. On the other hand, Precision Boost is a fine-grained frequency control that can nudge performance up by 25MHz increments (versus 100MHz for Intel) to boost performance without consuming more power. Here’s one of the secrets to Ryzen’s higher performance: fine-grained clock control. And if a user has a cooler installed—using air, water, or liquid nitrogen—the chip can sense it, via Extended Frequency Range (XFR), a fancy name for auto detection that allows the Ryzen chip to run at a higher frequency than normally permitted. AMD’s Ryzen dynamically examines its power usage and makes adjustments on the fly. If designing a chip was like training a football player, than the first three SenseMI technologies would be like hitting the gym: improving speed, power, and endurance. Think of the latter two, Neural Net Prediction and Smart Prefetch, as the mental aspects of the game: anticipation and awareness. Papermaster described AMD’s Neural Net Prediction capabilities as “scary smart” branch prediction, intended to remove pipeline stalls. A microprocessor’s instructions typically work on conditions: if this, then that. But executing those instructions, then waiting for the next one, can take several clock cycles where the chip is essentially doing nothing. To compensate, modern processors “cheat” by trying to guess the way the conditional jump will go. If it’s right, then the processor can save time and improve the overall performance. If it’s wrong, then everything stalls while a new instruction is fetched. 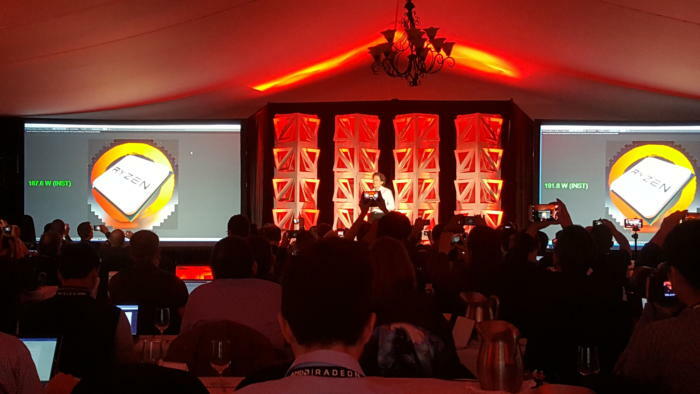 AMD’s technology uses a “massive amount of data” to retrain AMD’s branch predictor on the fly, minimizing those pipeline stalls, Papermaster said. After years of scratching and clawing to stay afloat—restructuring debt; leasing and then moving its headquarters from Sunnyvale, CA, to Santa Clara; layoffs—AMD is smartly doubling down on what it sees as a winning hand. Naples is just the first step toward a push back into the enterprise market, where higher margins can help fund future growth. Intel is waiting in the wings with Kaby Lake. Will Intel up its core count? Drop prices? Offer to assist with the marketing costs of hardware partners who sell Kaby Lake? 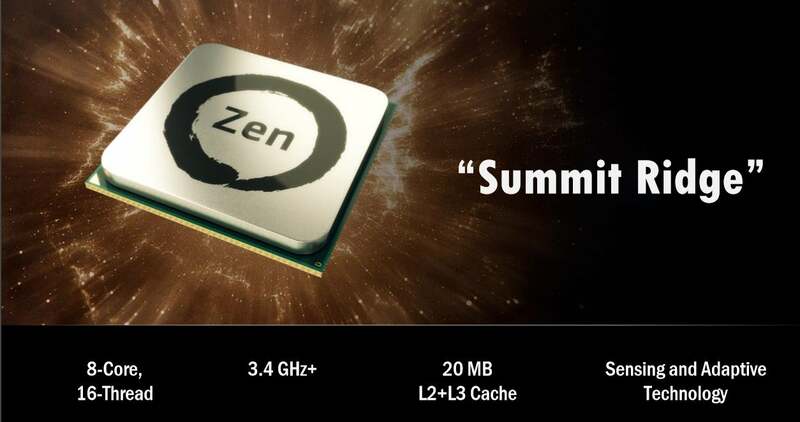 And what’s the boost speed of AMD’s Summit Ridge? 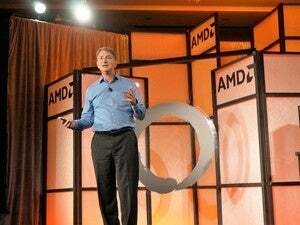 Will AMD be able to satisfy its customer demand? Will there be (gulp) bugs? All these questions remain unanswered. Additional reporting by Brad Chacos.